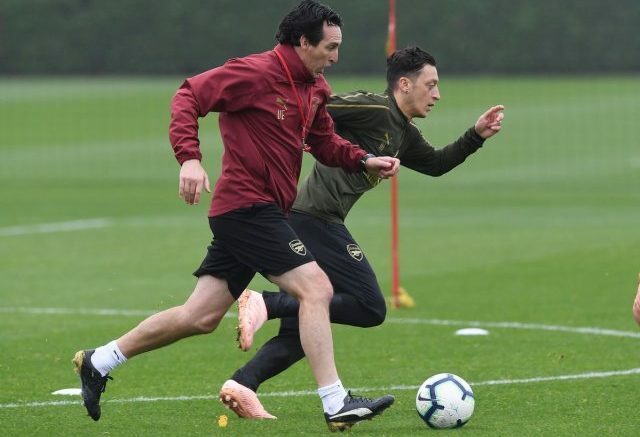 Arsenal boss Unai Emery has defended hooking Mesut Ozil at halftime for their draw at Brighton. Emery insists the decision was not personal. He said, “It is one decision tactically, and also the decision is because we have [done] it before because we have a lot of matches away when it tactically changes something, not for the player but for the team. A lot of the matches when we play in the second half, for example Iwobi, it helps us with a different situation tactically and helps us to win the matches. “In other matches, when we changed for the second half we took the performance to go to win. Yesterday, my intention was the same, it is tactically to change one player for another and with our analysis before that in other matches, in the second-half sessions is the reason I do that. But for me, it is only tactically and not [down to the] player, and for me every player is the same. Be the first to comment on "“Nothing Personal” – Arsenal boss Unai Emery defends Mesut Ozil halftime hook"